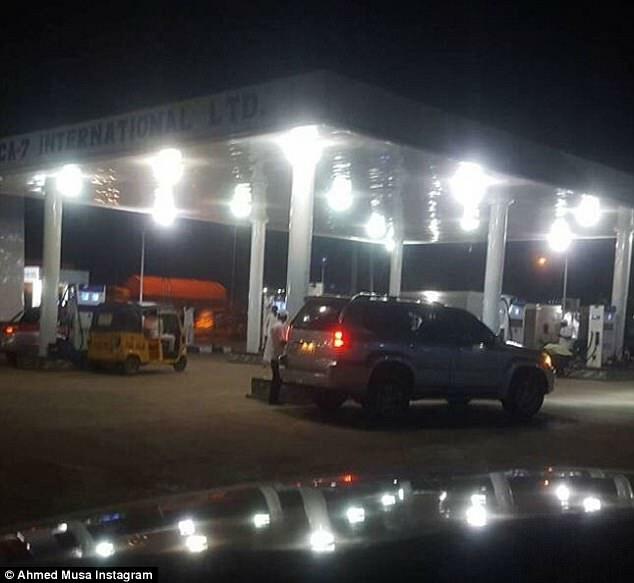 Ahmed Musa opens own petrol station…. 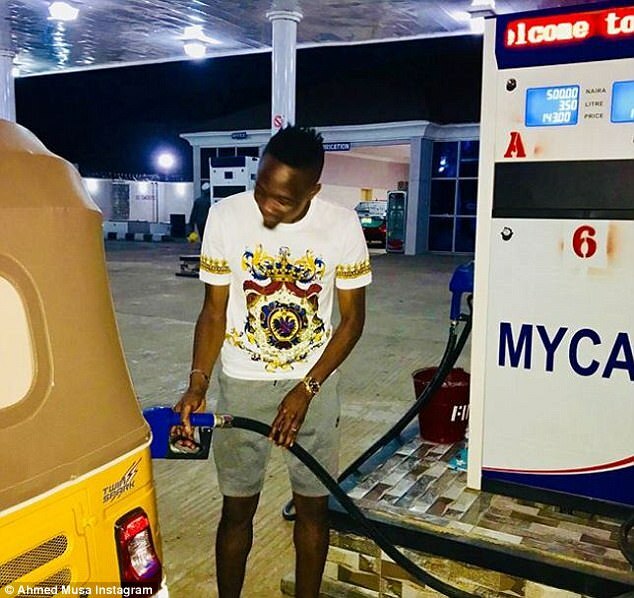 Leicester City and Super Eagles of Nigeria star Ahmed Musa opens his own petrol station in native Nigeria as he looks ahead to life post-football. It is not uncommon for footballers to dip their toes into the world of business to set themselves up for life post-retirement. After all, the playing career of a footballer is a short one… but not many can boast a business portfolio like Leicester forward Ahmed Musa’s. 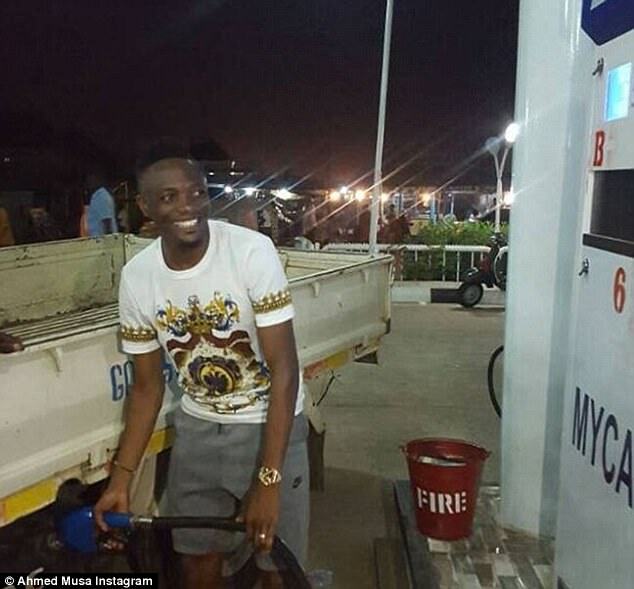 The Nigeria star is only 24, but he has just opened a petrol station in Kano, 500km north of his native Jos. Musa had travelled back home during the international break for footballing reasons, but took some time out of his schedule to pose at the garage. The Nigerian even filled up a car with fuel as he visited the garage, which is now under his ownership. 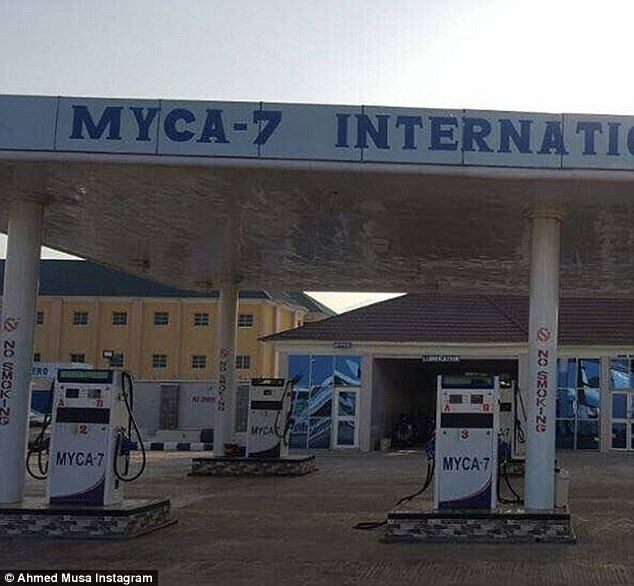 The Kano petrol station is the second in his portfolio, while he also boasts real estate and a Sports and Fitness Centre. Despite the area being a five-hour drive from his place of birth, Musa is well-known in the area after kick-starting his football career nearby with the Pillars. From there, he joined VVV-Venlo in Holland, before moving on to CSKA Moscow and then eventually Leicester. ← Iceland become the smallest nation to qualify for World Cup….